Nevada’s hot desert days and chilly nights have created a high demand for talented HVAC technicians and contractors. Techs earn a median per-hour wage of $26 in Nevada and a median salary of $54,550 yearly. While you might not need a license or special degree to get started in HVAC, if you want to reach your maximum earning potential in the field you might want to consider becoming an HVAC contractor. This article will walk you through the licensing and certification process all the way up through taking your exams. Read more to find out how to earn more in HVAC. There are financial and experiential requirements a candidate must meet and prove during the application process to be able to sit for the examination. Licensing and application fees are $600. You must be able to obtain a bond in an amount determined by the board, based on license type. If your financial limit is less than $1,000,000 the statement must be compiled, reviewed or audited by a CPA, self-prepared on a form provided by the Board, or using accounting software and accompanied by an affidavit. If you are over $1,000,000 or more, the financial statement must be reviewed and audited by a CPA. Your license must be renewed biennially. The state of Nevada has an agreement with California, Arizona, and Utah. Under this agreement, you can use your license in these states provided you have at least 7 years experience and have met all the the licensing requirements. After your application has been approved by the board, it is time to schedule and take your exam. The exam is given by PSI Licensure Certification. To get your C-21 you will need to pass both the Business and Law exam in addition to a trade exam. It is an open-book exam. It includes 85 questions to be completed within a 3-hour time limit. The exam fee is $85 for a single and $130 for one trade exam plus the Contractor Management Survey Exam. The EPA 608 certification is a nationally recognized certificate you must earn to qualify to work with hazardous refrigeration materials. Every HVAC company looks to have an EPA certified tech on staff, as it allows them to bid on jobs that deal with these types of refrigerants. Even if you are not looking to become a contractor, passing an EPA test is a great place to start. Working with refrigerants is almost a necessity for an HVAC technician. There are three levels of certification (Type I, II, and III) you can earn with the EPA test. Learn how to get EPA certified. 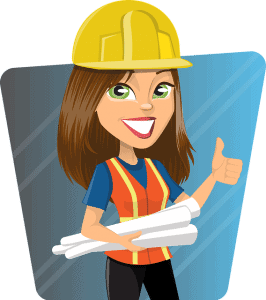 While getting your C-21 Contractor’s License in Nevada may seem like a daunting task, it will allow you to work as an HVAC contractor in multiple states and bid on high level jobs. The scope of the license is relatively expansive, allowing you to work on every system within the field. Looking for schools? Find all Nevada HVAC schools here.